This year is the 70th anniversary of Ferrari’s very first car, and to mark the occasion the Goodwood Festival of Speed hosted a fabulous line up of some of the Italian team’s greatest single-seaters, sports racers and those classics that command $30m+. The Goodwood Festival of Speed is now one of the world’s most important and famous automotive events, bringing both manufacturers and fans together. 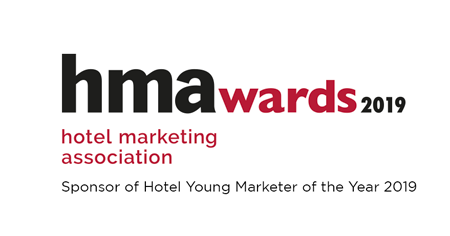 For a leading automotive marketing agency such as LAW Creative it’s an event not to be missed. Attempting to tell the story of Ferrari is like trying to summarise the history of an entire nation. The race team has won pretty much everything that’s worth winning. The road car division, an offshoot of the racing Scuderia (meaning ‘stable’ in Italian), has created some of the world’s most iconic and valuable machines. Its founder, Enzo Ferrari, started as a driver and soon became a team boss, working with Alfa Romeo for much of the 1930s. In 1937 he left the team and, following WW2, returned to the motorsport world with his own car. 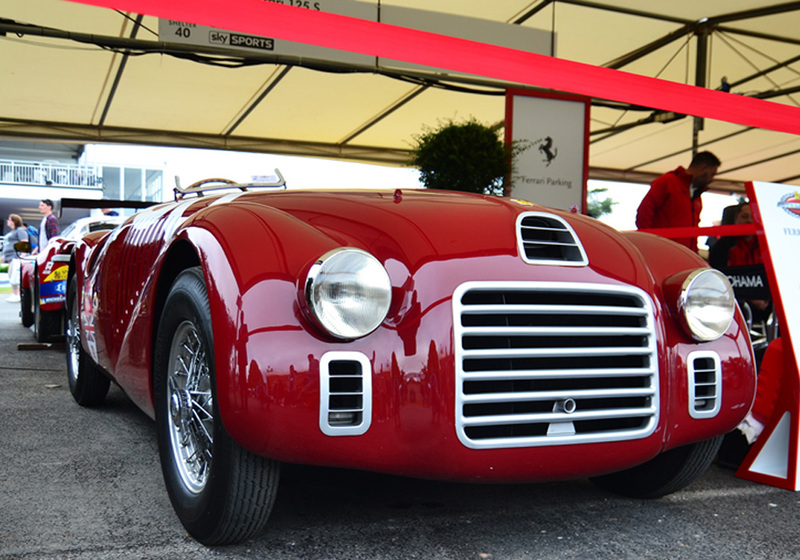 It was early in 1947 when the first Ferrari 125 S rolled out of Enzo’s factory in Marenello. Powered by a 1.5L V12 that produced 118 BHP it was a modest start for what would become the most famous racing car of all time. Ferrari’s first car – the 125 S. Look but please don’t touch! The rest of the story is the stuff of legend – Enzo’s life was about racing and racing was about winning. He was passionate about success, famously reckoning that the most important victory was always the race “that was yet to be won”! To win those races, Ferrari couldn’t be ‘all show and no go’. 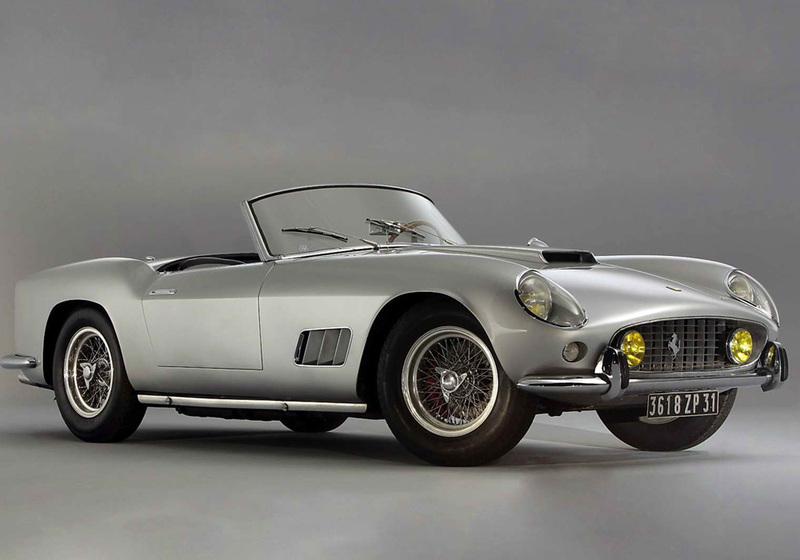 The brand’s automotive marketing strategy consisted of Hollywood stars cruising Beverly Hills in their 250 California Spiders but Ferrari always remained an engineering company at heart. From mid engines to turbo charges to ground effects, Ferrari designed innovative technology and won with it for 70 years. The lessons learned were applied to Ferrari’s road cars: the mid engine layout of the 156 shark nose in 1961 became the iconic 246 Dino GT; the turbo charged 126 CK raced by Villeneuve led to the 288 GTO and ultimately the F40. More recently hybrid technology put a little bit of F1 into the LaFerrari hypercar. The Ferrari 250 California made famous by 60’s movie stars and, more recently, Chris Evans, who famously paid £6m for one that belonged to Steve McQueen. Ferrari has always been about more than statistics; the company has incited passion like no other automotive brand – its fans are nicknamed ‘Tifosi’ (literally: ‘carries typhus’) as a mark of their addiction. At LAW Creative we are passionate about automotive marketing that brings success to our clients. Our teams deliver award-winning campaign statistics by applying leading marketing strategy and technology plus iconic creative that inspires brand passion.